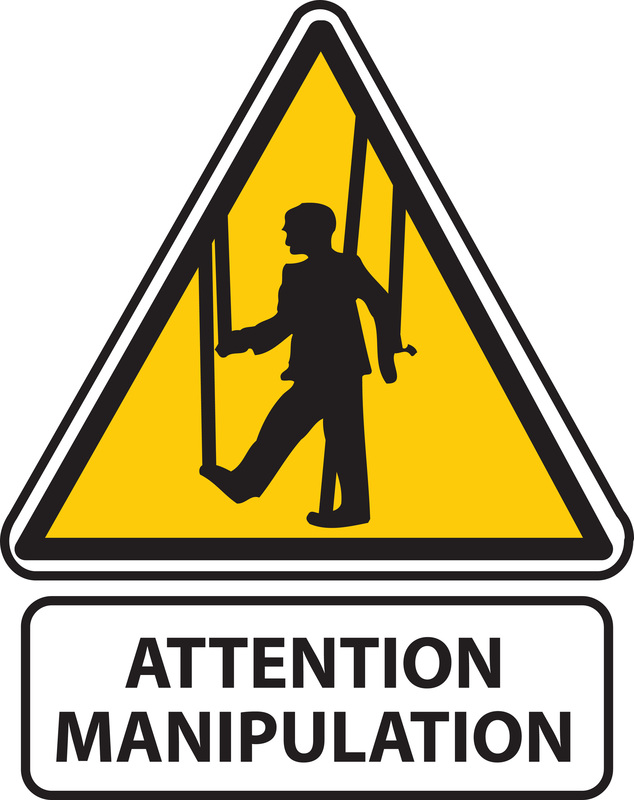 These guys are not trying to manipulate you in any way. The timing of this topic is simply too sweet to be coincidental. Too. Sweet. Citing examples of language employed to manipulate others, what with it being the sprint to the election finish line and all, is like setting Susie Sweettooth loose in a chocolate factory with a bib and a dream. Just open the door and all hell breaks loose. 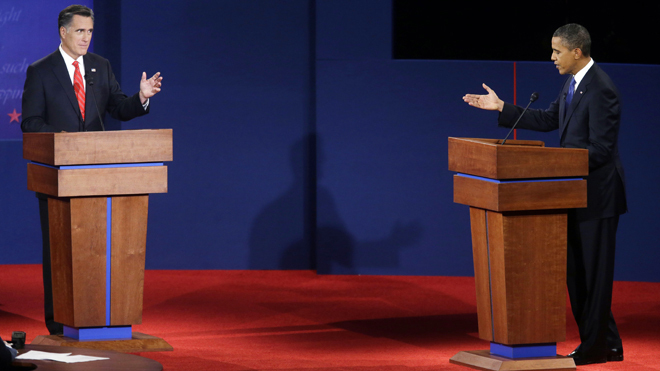 A quick review of what the candidates have said and continue to say as they grapple for their political lives can be accomplished in minutes, seconds really. Far, far too easy. Surely an ugly underbelly, an insidious subtext, must exist which will blow this whole “lucky” timing thing to smithereens and turn the tables of buffoonery on those who gleefully point out the creative use of “candidate speak.” Perhaps it lies in a rarely enforced covenant of the Patriot Act which allows federal agents to pounce upon a person in New Jersey, specifically a person in central New Jersey, more specifically a man in central New Jersey, even more specifically a dashing and handsome man in central New Jersey, who dare mentions specific instances of politicians using manipulative language to shamelessly appeal to the emotions of the electorate. The FBI is all hopped up on 5-Hour Energy drinks waiting for the juicy opportunity to search the homes and seize the goods of this these innocent purveyors of truth. You can see their flak jackets quivering. Well, set your scopes elsewhere, oh heavily armed guardians of the Republic. Your scam has been exposed; your lure is too damn obvious. Instead we turn to the oldest example of manipulation through language: the never-ending pursuit of men trying to attract, woo, nab, capture, and/or nail women. Isn’t that a wonderful way to put it? There is a reason those words of tender affection men have whispered to women lo all these many millennia are called “sweet nothings.” Like cotton candy they are so pretty and fluffy, but dissipate under the slightest pressure. When scrutinized they crumble like a house of breadcrumbs. One such blathering is the classic declaration of “You are my endless love.” Now endless love is a lovely thought. A lovely thought. But what exactly does it mean? What is an “endless love”? Is it a love that stretches through eternity? A love that neither time nor place can stop? A love that goes on and on and on and on and on like a Peter Jackson movie? Well, all of those are rather unrealistic, don’t you think? The longest marriage on record is only 87+ years. Even if you throw another 10 years of loving courtship into the mix, that’s not even 100 years. 100 years, while something, is hardly “endless.” Of course the assumption is the love will continue long after the lovers leave this corporeal plain. Long after as in forever. Or endless. 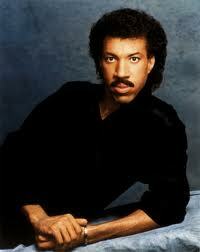 In 1981 Lionel Richie made a boatload of cash singing about endless love. But truthfully, even his lyrics are just scented air, a barrage of sweet nothings. Remember them? Feel free to sing along. Silently. The Richie man goes deep into the well to sweep women off their collective feet. Yes, yes, he is singing to only one woman in the song, but we’re not going to fall for that ruse, are we? Those words sound light and airy. Innocuous even. They also sound super familiar. Haven’t we heard very similar lyrics elsewhere? By Lionel, we have! In 1983, two years after the Richie man recorded his ode of sweet nothingness, both The Police and U2 recorded their own songs of sweet nothingness. And, it appears, they were directly influenced by “Endless Love.” “Every Breath You Take” and “Two Hearts Beat as One” sport lyrics which are minor variations of those in “Endless Love.” Heck, the song titles are almost direct lifts from L.R. Yet these two knockoffs also made buckets of money which raises an interesting question: Can sweet nothings be copyrighted? Apparently, the answer is “No” because if they were old Lionel’s attorneys would have been all up in Sting and Bono’s wheelhouses. But they were not. Nary a lawsuit. Which further proves the vapidity of the sweet nothing. In this hipster, modern world if you can’t copyright something it ain’t worth bupkis. Nicole Ritchie’s dad and a couple of UK songwriters are hardly the only people guilty of using manipulative language in pursuit of the l-a-d-i-e-s. Every one of you is guilty too, assuming every one of you is a straight man or gay woman. You know who you are and you know it is true. (Pointing at you, you and especially YOU.) If you are so silly to try and deny it the evidence can be readily trotted out. Do any of these sound familiar? Now, it’s nothing to feel bad about. (Like you feel bad. Ha!) Using language to manipulate others is as universal to the human experience as breathing. And it is not confined to politicians, singers, or guys and gals on the make. Children do it, or at least they try, bless their transparent little hearts. Colleagues and bosses do it. People in business do it all the time. Advertisers specialize in it. Artists, plumbers, police officers and your neighborhood baker also play the game. Even friends and family try to manipulate with their language. And so do you, you manipulative devil you. I’m alive and well! Simply haven’t had much interesting to write about! You always have interesting stuff, John. I’ll see ‘ya around when you get to writing stuff down again…or snapping some interesting photos! I enjoy your pics! Me, too! You are a terrific writer, John, and you take some amazing photographs. Ladies, you are too kind. “You are the music to the lyrics of my life.” Did you make that up? That’s not bad. I was going to take notes, but then I remembered I could copy and paste. Thanks, John! Copy and paste is wonderful! “You’re so pretty” seems to work with women AND men. Or maybe it’s just my charming personality. Either way, I seem to be able to get people to do what I want…. And there’s nothing new under the sun…same old rehashed themes. But my how I love the way you spin the words, my man from Trask. One might say my words manipulated you. Man-ip-u-lat-ion is makin’ me do things………….. This isn’t part of the song, but I wanted to say that this, meaning your essay, was nicely put. Well done!